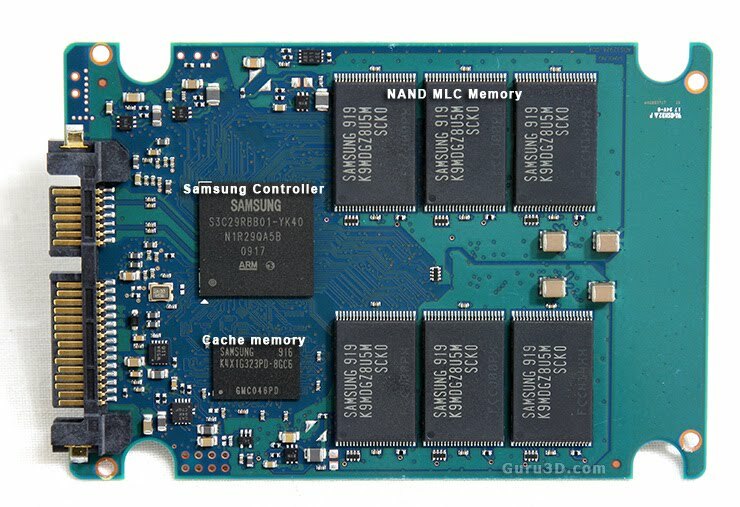 In 2008, a SSD controller manufacturer named JMicron released their new and amazing SSD controller to manufacturers for inclusion in their solid state drives. SSD companies received mass shipments, blindly incorporated them into their SSDs and got them out to millions of consumers worldwide. This controller wreaked havoc on the growth of solid state drives as it did the reputation of manufacturers, costing them millions of dollars to repair the problem. Now what about the consumer? It seemed the JMicron controller had severe problems with a little thing called write latency. Write latency is simply the time it takes to get a piece of information written to the ssd. In short, it caused pausing or stuttering problems within the drive itself. Tuan Nguyen of Anandtech, did a great article here which drove the severity of this problem home and then Anand Lal Shimpi followed suit with this article entitled, Avoid SSDs with JMicrons JMF602 Controller. The fix all for JMicron was the release of a corrected controller (JMF602B) but testing showed that this controller, under specific conditions, was still some 74 times slower than the Velociraptor hard drive and would only complete 4 writes per second compared to an average of 50 for the hard drive. So what companies got caught in the web of the 602/602B? I hope your seated because it was just about every popular manufacturer except Intel and Samsung, these being AData, G-Skill, Kingston, OCZ, Patriot, PQI, Runcore, Solidata, Supertalent and Transcend. I have written countless times that I believe Intel and Samsung to be the most stable choice for a SSD purchase and my reasoning is simply because they have had a great deal of success in marketing their own controller. So lets go back to the start shall we? 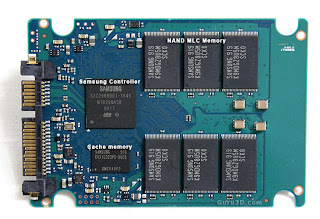 The SSD components include the case itself, interface which connects the SSD to the computer, NAND flash, cache, controller and firmware. The controller is, in essence, an imbedded processor which executes operations as written in the firmware. This is very important because the combination of the two result in the performance level of the SSD. To the benefit of the manufacturer, they can issue firmware updates, after release of their drives, which can correct an issue or increase the performance of the drive. This also gives manufacturers the ability to cap the performance of their drives as is believed the case with Intel X25 drive write benchmarks and they still end up top of the bunch in just about every overall benchmark program. 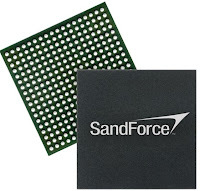 Of noteworthy mention is something that SandForce ( a newly introduced SSD controller manufacturer) and OCZ are doing as a result of a close relationship between the two which is somewhat questionable both at the business and consumer level. It deals specifically with the SandForce SF-1200 and SF-1500 controllers. OCZ is given very preferential treatment as, not only are they granted quicker access to firmware updates than other manufacturers, but also, their revisions havent the standard capped performance of other as seen with the small random write performance of the newly released OCZ Vertex 2 SSD. In other words, other manufacturers are receiving the Sandforce controllers but not granted right to full performance of the controller. The meat and gravy of controller knowledge is an understanding that manufacturers want to get the best and newest product out as fast as they can. This was very evident with the original JMicron controller and remains so today when it has become commonplace for a SSD to be released and sub-standard characteristics discovered to which a firmware update is issued shortly thereafter. The Crucial C300, with the Marvell controller, is a perfect example of a recent release where a few drives bricked right off the bat and unfortunately one of those bricks occurred while being tested by Anandtech and the result published here. Dont get me wrong here folks. The C300 is a monster performing drive but maybe they would have wanted to do just a bit more testing on it first. To date, the two manufacturers that seem to be miles ahead in controller stability are Intel and Samsung and wouldnt you know it, they manufacture their own controllers vice seeking non-oem manufacturers. I would categorize ssd controllers by success as being Intel, Samsung, Indilinx SandForce, Marvell, Toshiba and JMicron 602B followed by JMicron 602. I would offer a word of advice as being that you might want to check closely as to what controller is in the SSD if you are buying used or if you find your getting too good of a deal. There are still SSDs available with the original JMicron 602 controller which would not be a good purchase. To close this off, the best SSD purchase is one in which the consumer knows what he or she is purchasing and no surprises are to be expected. The price of your SSD is definitely dependent on the controller where we are seeing newer entries by SandForce and Marvell grabbing premium price while, in the same breath, Intel and others are lowering their own drives to ensure of their own success even with these new releases. PommieB of www.extremeoverclocking.com has compiled a great SSD Drive Info Booth here which details controllers and manufacturers and he is nice enough to update it regularly.